Jason "Jam Master J" Mizell, Darryl "DMC" McDaniels" and Rev. Joseph "Run" Simmons are Broadway bound. 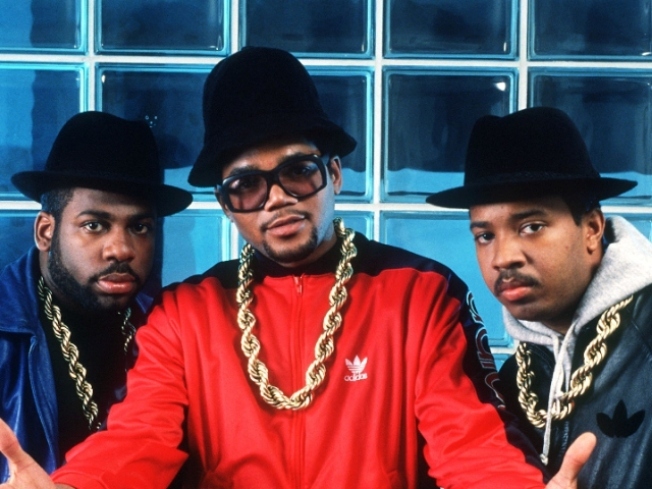 In January Run-DMC learned that they would be inducted into the Rock and Roll Hall of Fame. In August, the corner of 205th Street and Hollis Avenue in Hollis, Queens, was rechristened Run-DMC JMJ Way. Now Run-DMC's story is being adapted for the great White Way. Not a bad year. "I feel their story lends itself perfectly to the stage," producer Paula Wagner told Liz Smith. "This project has been a passion of mine for some time and I couldn't be more thrilled to be working with them." Let's hope this turns out better than 2006's "The Times They Are A-Changin'," which somehow made listening to Bob Dylan a white-knuckle nightmare and was mercifully shut down after less than a month. Wagner and the two surviving members of the band, Joseph "Rev Run" Simmons and Darryl "DMC" McDaniels, have been meeting recently to check out some of the musicals currently on Broadway. On Oct. 15 the three were backstage at "In the Heights," visiting with the show's Tony Award-winning composer and lyricist, Lin-Manuel Miranda. Who knows, maybe Miranda is being recruited to lend his talents to the venture. Wagner, herself a former Broadway actress, first made a name for herself as Tom Cruise's agent. The two went on to form Cruise/Wagner Productions in 1993, producing the "Mission: Impossible" franchise and several other Cruise vehicles.